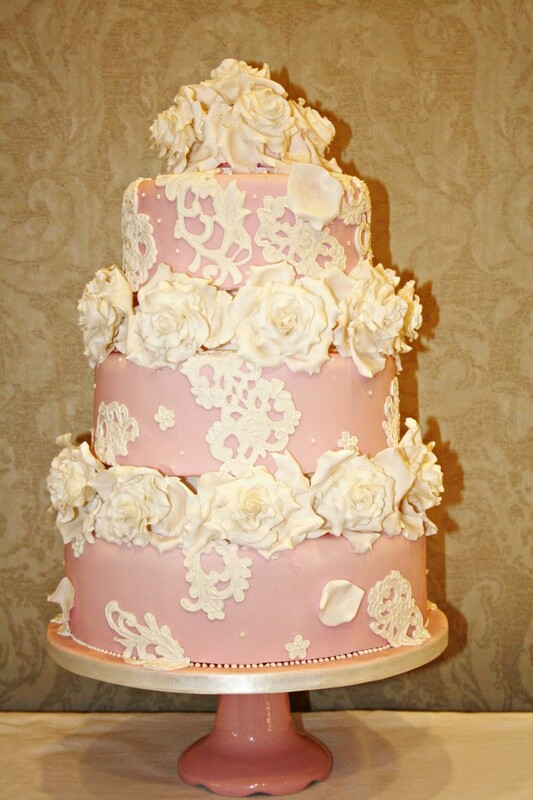 Three tier wedding cake. 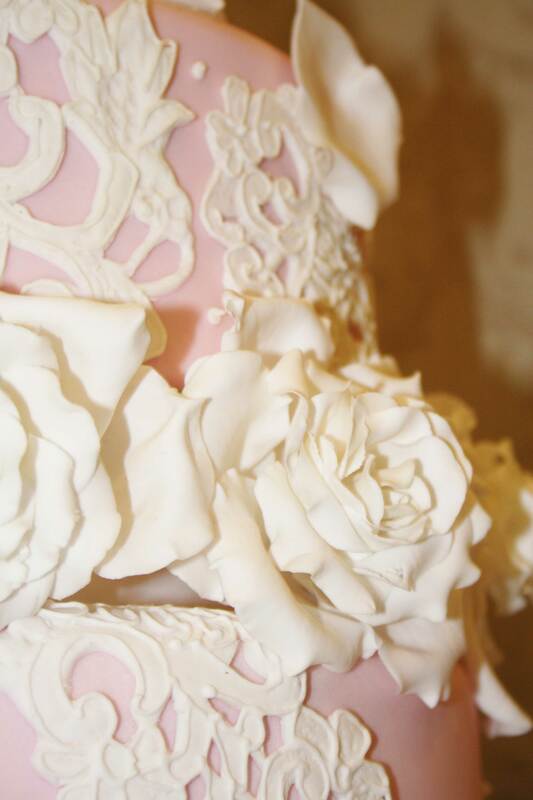 Iced in pale pink with white sugar roses, white sugar overpiped lacework and microdots, finished with piped beading and grosgrain ribboning. Cake serves 120 finger portions.